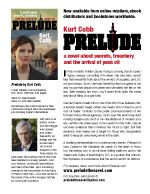 Blog | Prelude the novel | A novel about secrets, treachery and the arrival of peak oil. By Kurt Cobb. A startling reinterpretation of contemporary events. This week I appeared on the cable news television show Crosstalk. The topic was the cause of high oil prices. I managed to provide a succinct explanation near the beginning. I didn’t use the words “peak oil” because the panel discussion format of the show would have prevented me from providing sufficient explanation and context. The show which lasts a little over 25 minutes can be found here. The Smoking Poet, an online literary magazine, has now posted an in-depth interview with me. You can read the interview by clicking here. Max Keiser, host of the financial news show On the Edge, interviewed me recently and this interview aired May 6th. To view the interview click here for Parts I and II. A piece written by Kelpie Wilson for The Huffington Post mentioning Prelude was noted on this blog in mid-February. The same piece has now been run by Truthout where Kelpie was the environmental editor and a columnist from 2004 to 2008. I am indebted to her for her efforts to give visibility to Prelude in all the right places. Those who are aware that world oil production is nearing or has perhaps passed its all-time peak will no doubt find the following scenario familiar: You’re at a party or other event talking with a group of people you’ve only just met and you mention peak oil. All you get are blank stares. Absolutely no one knows what you are talking about. To those who stay on top of the oil news, it’s hard to believe that most people, even most supposedly educated and informed people, have no clue about the trajectory of the world’s most important commodity. With all the websites, blogs, articles, videos, documentaries, and books devoted to the topic of peak oil, somehow it seems inconceivable that the peak oil idea has gotten so little purchase on the public mind. My aim was as follows: Write an engaging thriller that would appeal to readers because it is a good thriller, not because it is a book about peak oil. Story first, message second! I imagined that the book’s initial path of distribution, however, would be through those who are peak oil aware. They would read the book and decide (I hoped) that it was an excellent tool for spreading awareness about peak oil–a book that anyone who liked to read novels would find compelling. So far things are going according to plan. Many people have said they enjoyed Prelude, even those who already know a lot about peak oil. And, more important, they have recommended it, given it or lent it to friends, family members and colleagues. My own experience is that people who have read the book and who had no prior familiarity with the peak oil issue say essentially, “I had no idea!” These newly aware readers seem anxious to tell others what they have learned. If you end up reading Prelude and find it compelling, I hope you will pass it on or recommend it. There have been cases in the past where a novel has broadly informed and dramatically galvanized public opinion. Uncle Tom’s Cabin, the novel about slavery published in 1852, revolutionized Americans’ thinking on the topic. It turned out to be the second bestselling book of the 19th century, right behind the Bible. Two generations later Upton Sinclair wrote The Jungle, which followed the life of a worker in a Chicago meatpacking plant. Appearing in early 1906, it so enraged the public about unsanitary conditions in such plants that it led to the passage of the Pure Food and Drug Act by the end of that year. Could Prelude result in something as dramatic as all that? Well, it’s already changing the conversation for some people. And, with the help of the good folks at 321energy and the book’s expanding readership, who knows? Prelude is now available internationally through many online and brick and mortar bookstores. To get a sense of the ever-widening scope of distribution, have a look at the “Where to Order” page on this site. Those in Europe and Japan will find the book easy to get and much cheaper to ship since their orders will be originating in or near their home countries. Distribution in Canada is also widening as independent bookstores now have Prelude listed in their ordering systems. Amazon Canada is listing the book online as well. Prelude now available through local bookstores in U.S.
Prelude is now available through local bookstores throughout the United States. 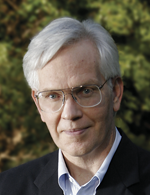 Bookstores may order Prelude through the well-known book wholesaler Ingram. In the coming weeks I’ll have important information about international distribution. Prelude has been mentioned in a peak oil-related commentary on The Huffington Post by writer Kelpie Wilson. I met Kelpie at a conference a couple years ago. She’s currently the communications editor at the International Biochar Initiative. In that regard I recently wrote a piece reviewing Albert Bates’ The Biochar Solution. Albert is active in the IBI as you might expect. The Huffington Post mention offers by far the most visibility for Prelude to date.